If you’ve been planning a getaway to Thailand in the near future, it’s important you’re aware of the legality of the places you’ve booked to stay in. Verdicts made this year in the country’s courts have muddied the waters when it comes to what’s allowed, and what isn’t. Travel as a concept is evolving at an incredible rate. The way we find and enjoy places to stay and things to do while travelling is now almost an exclusively online experience and no company is utilised more widely than Airbnb. The home-sharing app has revolutionised how we find places to stay while away, and totally disrupted the hotel industry. Disruption in any major industry brings push-back. The hotel industry year on year is losing money since the introduction and popularisation of Airbnb and other similar platforms. Because of this there have been laws and legislation introduced the world over to keep the status quo. Airbnb relies on the laws of each country it’s active in (191 countries and counting) to function, and in some cases, this has lead to some issues in one way or another. The current rules in Thailand do not reflect how millions of Thais travel or want to use their homes, similar to how millions of people prefer to use ride-sharing apps like Uber or Grab rather than take taxis. Thai courts first ruled in January of this year that owners of two condominiums violated the Hotels Act of 2004 by renting their private rooms out both daily and weekly. These judgments confirmed the opinion of many Thai lawyers. The daily rental business – and operating a hotel business without a license – is technically illegal. In the minds of the Thai legal system, the issue is now settled. 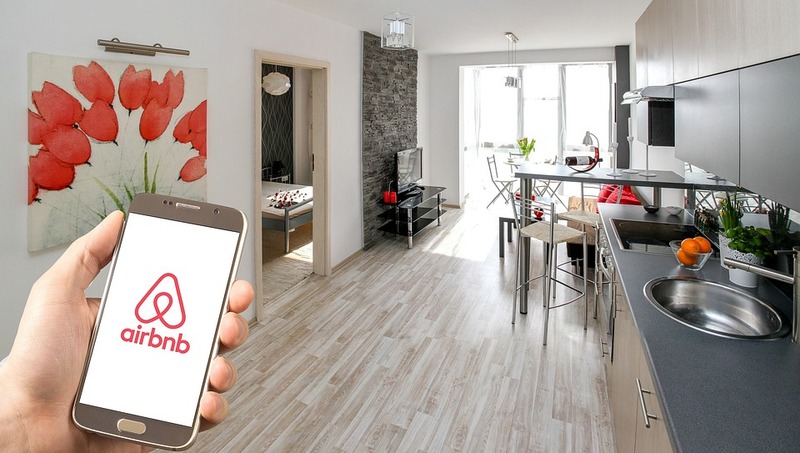 The question is no longer whether operating an Airbnb is legal, but whether or not the law will be actively enforced, and what the punishments handed down to operators will be. Only daily and weekly rentals are not allowed. 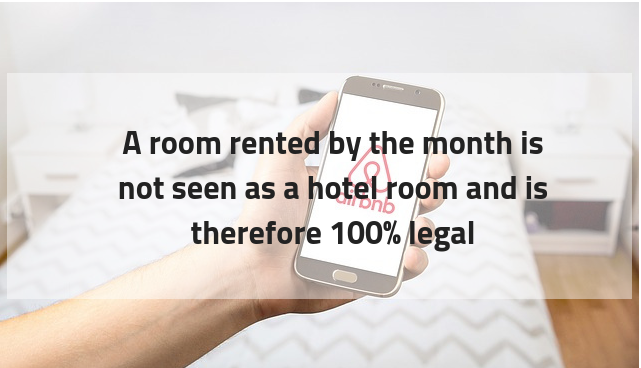 The aforementioned Hotels Act specifically exempts monthly rentals, a room rented by the month is not seen as a hotel room and is therefore 100% legal. HOW DOES THIS EFFECT HOMEOWNERS? All potential Airbnb hosts need to refer to the individual condominiums Juristic Housing Person Rules and Regulations. Most condos have a handbook with all the rules and regulations contained within. It would also be worth referring to the Condominium Act. B.E. 2522 and all subsequent amendments. With regards to housing village (projects), they are covered by the Land Allocation Act. B.E. 2543 and also the individual village’s Juristic Housing Person Rules & Regulations. Most villages will also have a handbook with all the rules and regulations within. The Condo Act and Land Allocation Act are similar but not exactly the same. If you’re thinking about listing your home on Airbnb, it’s vital you understand the legal ramifications that come with that. If you’re in an apartment building or condo, be aware of your neighbours as well as the laws your building has. The law is usually only enforced because of disgruntled neighbours, thus it’s important you stay on the good side of those around you! HOW DOES THIS EFFECT GUESTS? At this stage, it has little to no effect on visitors. As it is in Hong Kong, discretion is key. Meaning, if your guests are asked by anyone official where they are staying, it’s best they don’t mention Airbnb. Upon arrival in Thailand however, visitors are rarely asked their travel plans. Thailand relies heavily on international tourism. The Thai authorities have a vested interest in keeping tourists happy and fulfilled. Therefore, they’re not currently very active in doing anything about Airbnb or similar websites. Currently there are thousands of listings spread all across the country, take a look for yourself. If owners were worried about the legislation there wouldn’t be so many listings available for short term rental. At the end of the day, Airbnb is just a booking channel. There are many hotels and resorts on it too. They have started to realize they need to be in order to compete. Other sites and apps that offer short-term holiday rentals via a Sharing Economy model include Agoda, Booking Dot Com and TripAdvisor. If we break it down, this analysis is more about the general short-term holiday rental industry, not about any particular booking engine in particular. Guesthouses have been operating all throughout Thailand since the 70s. Registering for one is not hard either. A guesthouse in this sense is defined as ‘non-hotel accommodation to supplement income to the owner/operator for up to 4 rooms/20 people.’ If you are considering renting out your property you may wish to apply for a license to do so. A guesthouse can provide accommodation to tourists no matter how they book: they might walk in, they might book via an online platform, or be introduced by friends. You may hear it claimed that ‘a hotel license is required’ for any short-term stay but this is clearly not the case, as anyone can register a place as a guesthouse. It’s less clear-cut for condominium units. Condominiums can, of course, make regulations against short-term rentals. That’s their choice. Many new condominium developers understand though that they can sell more units when their buyers can actually afford the mortgage via some holiday rental income, so they’re more likely to allow it. And many condominium developers even rent out unsold units themselves for holiday stays. That practice could well be illegal, although so far it doesn’t seem to be regulated with any kind of organized effort. Ironically, legitimate guesthouses and hostels are checked on in many places in Thailand, especially those that really are hotels as they have far more than 4 rooms. Those places may be in a bit of trouble, but that has nothing to do with which booking sites they list on, Airbnb or otherwise. If you would like to learn more, why not get in touch with our team at Breezybnb and find out the best way to maximise your investment potential and mitigate any risk. Found this post interesting? You’ll like our post on Airbnb Legalities in Taiwan.